From June 18 to 27, 2018, Zhao Jinjun, Vice Chairman of the China Center for International Economic Exchanges (CCIEE), led the research team of “Deepening China-EU Relations” to France, the United Kingdom and Serbia, investigating the major issues in the current China-EU relations. The research team visited different organizations and government departments in France. At the Chinese embassy, the Charge D'affaires Wu Xiaojun gave a comprehensive introduction to the domestic and foreign policies of France and the bilateral relations between China and France. At the exchange center of the French Ministry of Foreign Affairs, the research team attended the breakfast meeting hosted by Raffarin, former French Prime Minister and chairman of the Perspective and Innovation Foundation, during which many French entrepreneurs and former senior government official exchanged their views on strengthening the China-France cooperation and third-party market cooperation. After the breakfast meeting, the research team and relevant French companies held a special discussion on how can the two countries promote sports channels in Africa. 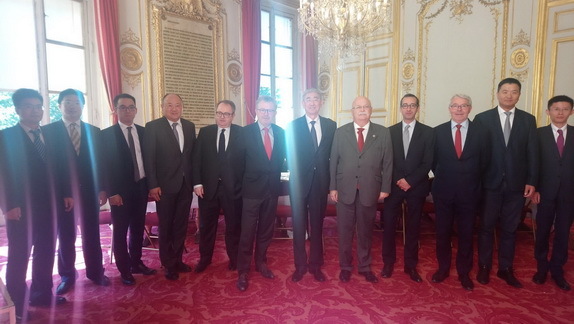 In the Palais du Luxembourg, the research team attended the breakfast meeting organized by Senator Claude Raynal, chairman of the France-China Friendship Group, CCIEE Vice Chairman Zhao Jinjun expressed his appreciation to the French Senate for publishing a research report supporting France’s participation in the “Belt and Road” cooperation two weeks ago. The two sides exchanged frank exchanges on the Belt and Road Initiative. 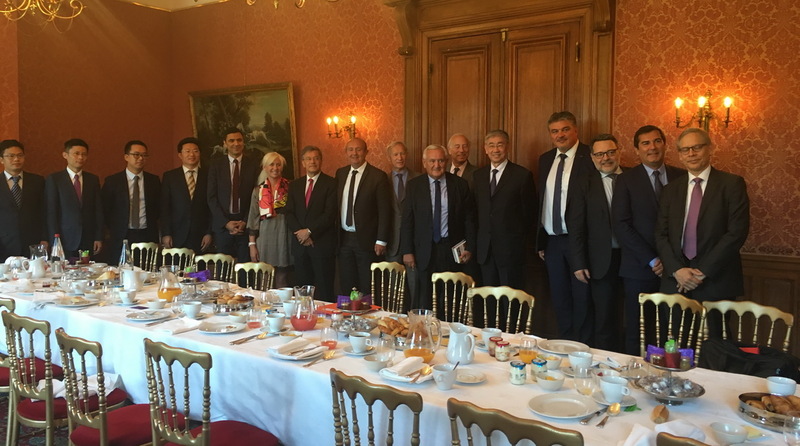 Chen Wenxiong, Chairman of the France-China Friendship Group also hosted a working lunch with the research team and discussed how can they further promote the development of China-French relations. ? 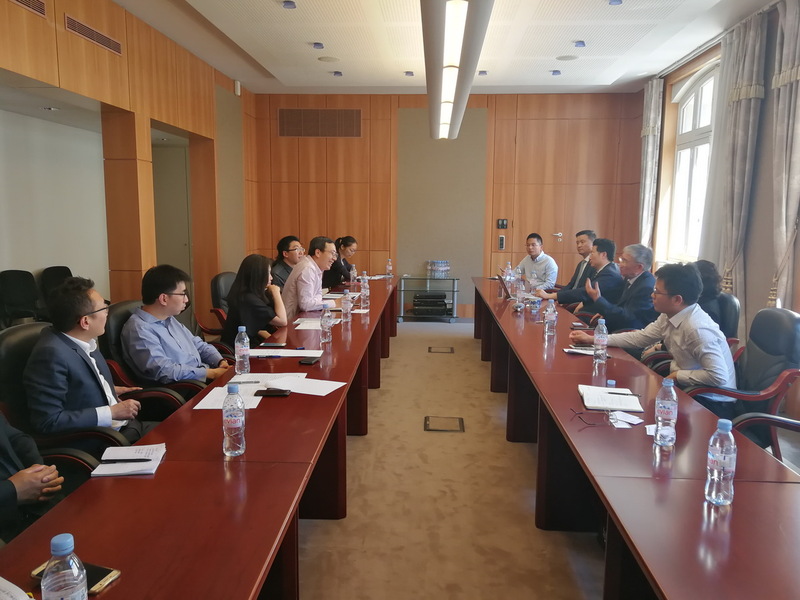 ?Gao Yuanyuan, Counselor of the Chinese Embassy to France, accompanied the research team to share their views with the representatives of Chinese enterprises in France on strengthening the bilateral economic and trade cooperation. 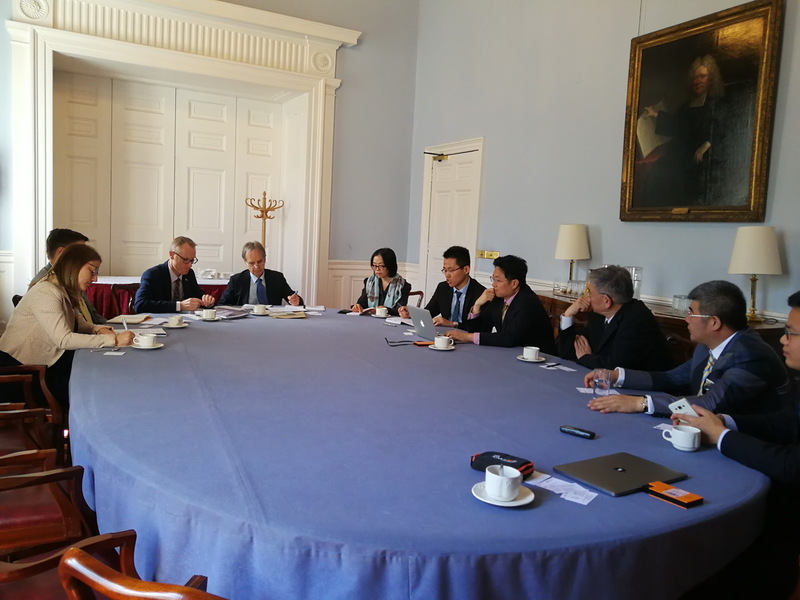 During their stay in the UK, Zhu Qin, the Chargé d’affaires of the Chinese Embassy, briefed the research team on the China-UK bilateral relations and cooperation. Pan Xinchun, Consul General of China’s Consulate-General in Edinburgh introduced the economic and trade cooperation between Scotland and the EU to the research team. 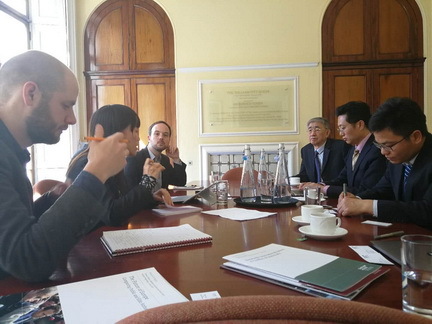 Lv Yanxia, Deputy Consul-General, accompanied the research team to the University of Edinburgh and discussed such issues as the Brexit and the China-EU relations with the researchers of the Department of International Affairs of the Scottish Government and the Europa Institute of the University of Edinburgh. Apart from that, the research team paid visits to the Chatham House and the Industrial and Commercial Bank of China (London Branch) learning more about the China-UK relations and the RMB internationalization. 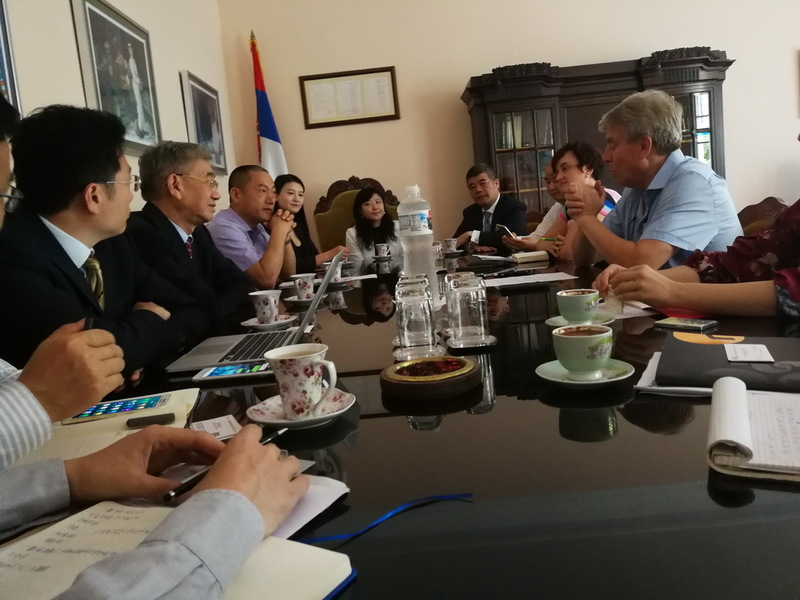 When visiting Serbia, the Ambassador of the Chinese embassy to Serbia, Li Manchang introduced the bilateral relations between China and Serbia, and the domestic and foreign policies adopted by the Serbian government. 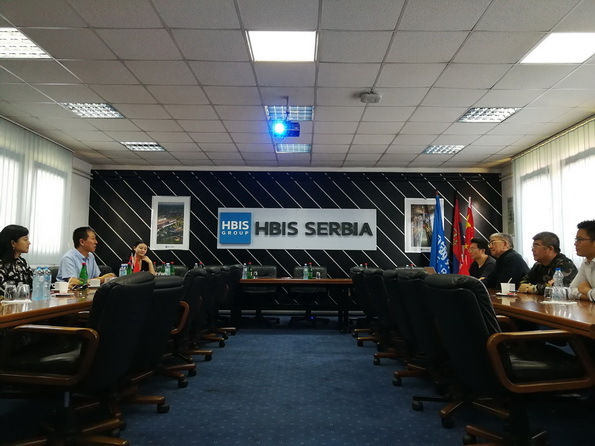 The members of the research team exchanged views with the director and experts of the Institute of International Politics and Economics (IIPE) on the deepening of China-EU relations, China-Serbia relations and the promotion of the “16+1” cooperation. The two sides expressed their willingness to further strengthen cooperation in the areas of the Belt and Road, “16+1”, and exchanges between think tanks. 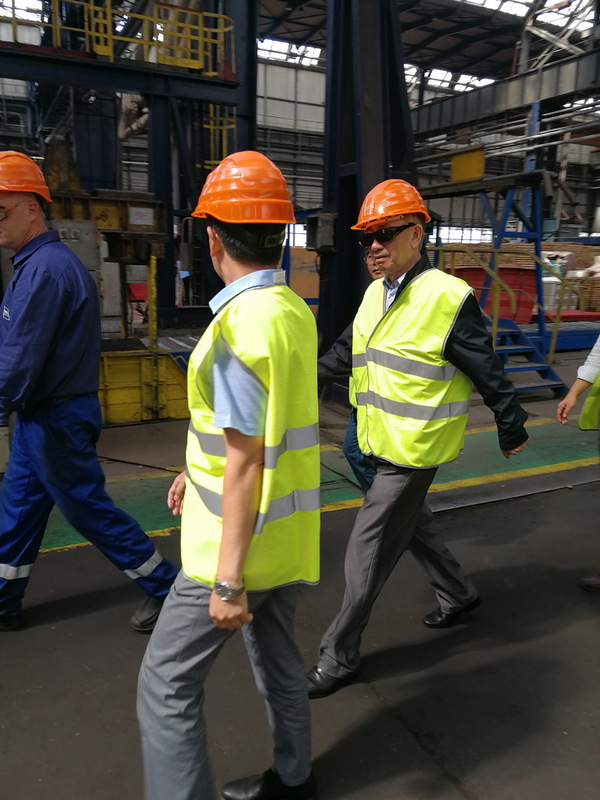 Furthermore, the research team visited the Smederevo Steel Plant to gain a better understating of the industrial cooperation between China and Serbia and the development of Chinese enterprises in Serbia.